Depending on the size of the events and the given conditions, we have two different systems with which we can work. For smaller events and workshops (or events without power supply) we use the COATI Open Source Spiders, a device that we can build ourselves (and you yourself as well) . 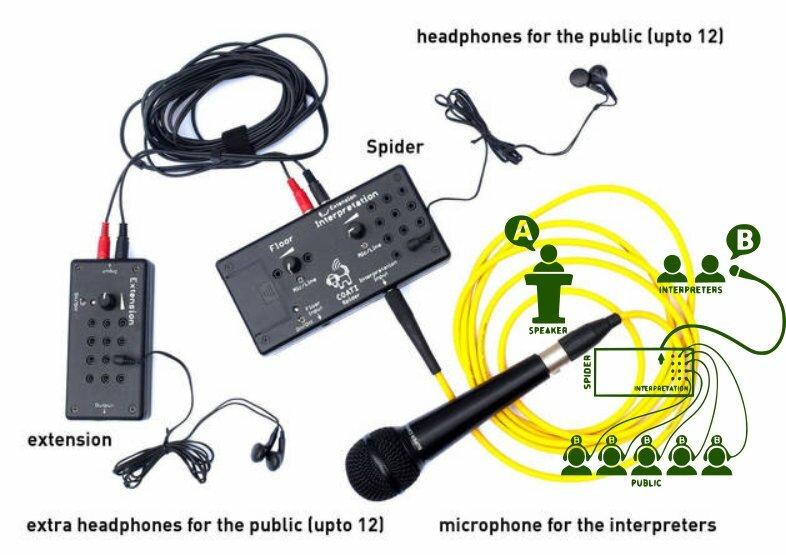 The interpreter speaks into a microphone connected to the spider, which diffuses it to 12 headphone exits . With the help of an extension the number of possible listeners can go up to 24 pro spider. For bigger events (up to 600 people) we use radios and transmitters. The speaker uses a microphone, to which the interpreters listen through headphones, to have a clear sound. In the same time the microphone sound is send over a speaker. Each interpreter is speaking into a transmitter, each of them representing one language. These transmitters use short distance radio waves and can be recieved by radios that we supply as well. 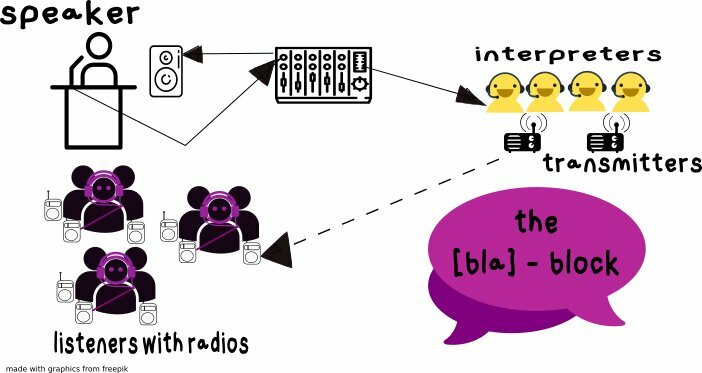 Listeners take a radio to tune into the frequency of the language they want to listen to and have simultaneous interpretation of all that is spoken.